Skid-mounted remediation systems are ideally suited to sites that will house equipment inside an existing structure or in environments without freezing conditions. A skid system may be configured for one remediation technique or multiple skids may be pre-packaged to assemble a fully integrated remediation system on site. Skid Mounted Remediation Systems and Components are available in various sizes and are constructed on structural steel to facilitate transport using standard freight carriers. 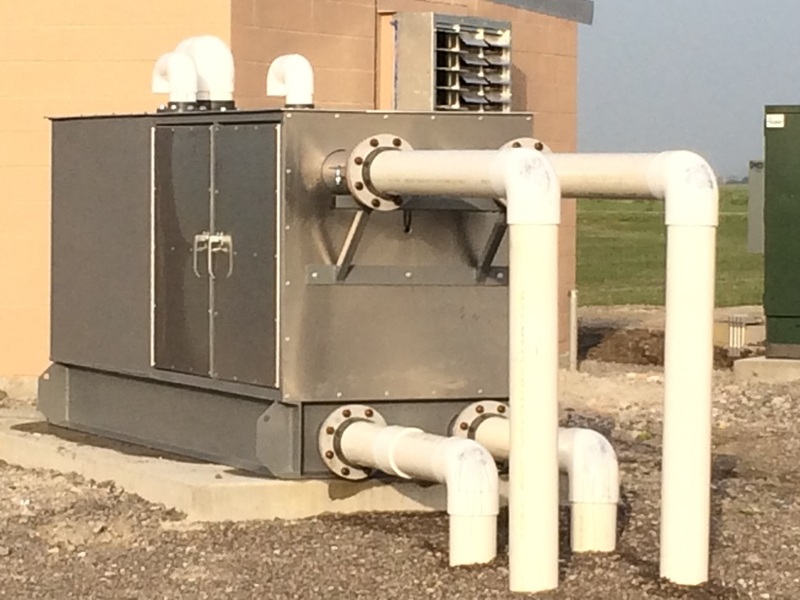 SSVS System with sound/security enclosure.